Below: Page 29 (enlarged photo). 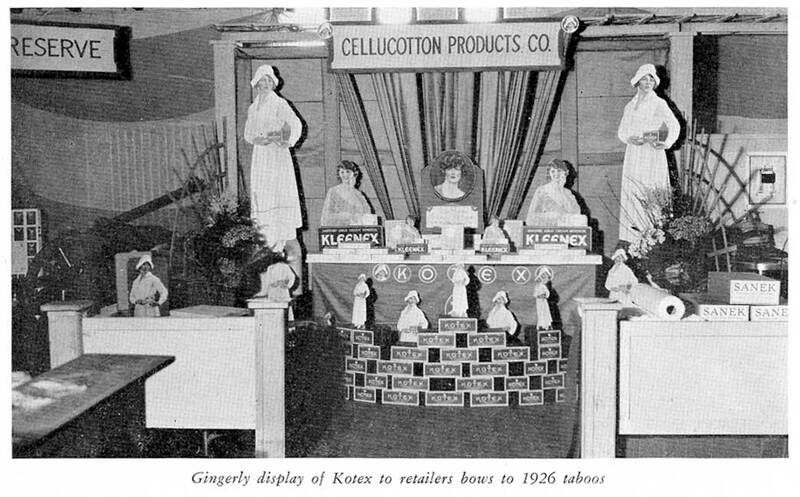 I enlarged the photo to better show the great display from 1926 (see a 1926 Kotex ad). Note the nurses, who used the Cellucotton bandages as menstrual pads, which lead to Kotex. not just an adverb. I was ready to pounce and gleefully (and not gingerly) announce my booty.